Being able to enjoy your pool is just one benefit of regular pool maintenance. Reducing the risk of hazards, prolonging the life span of your pool and saving on costly repairs are also perks of have your pool frequently inspected. The good news is cleaning and maintaining your pool doesn’t have to be difficult, particularly if you enlist the help of a professional company such as FCT Cleaning. Below are just some of the benefits of regular pool maintenance. Regular inspections of your pool will ensure potential issues are spotted before they escalate into further damage, which can mean much more costly repairs in the long run. Having your pool inspected means minor repairs can be carried out immediately. A dirty pool is never fun to swim in, but the health risks involved poses a much bigger problem for you and your loved ones. If your pool has the incorrect pH levels or the amount of chemicals is not properly balanced, this can cause harm to you and your family. Frequently checking these levels in your pool is paramount in keeping it safe for everyone to enjoy. There is nothing more off-putting than a pool that is covered in mould, grime and fungus, or one that has debris, insects and leaves scattered all around the surface. Regular maintenance of your pool means that it is kept in top, crystal clear condition and will never be an eyesore to you or your house guests. This becomes even more important when it comes time to sell your property. 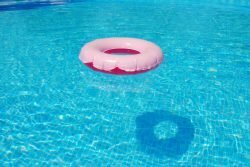 Perhaps the most important part of regular pool maintenance is the peace of mind you get from knowing all components and parts are running smoothly and the pool is always safe for you and your family to use at any time. This is where a professional cleaning company can really help as they will do all the dirty work for you. All you will need to worry about is finding the time to take a dip. At the end of the day, regular inspection of your pool means you will be alerted to any potential problems as soon as possible. If you do spot any damage, it becomes even more important to consult with a professional expert so the issue can be addressed immediately. Restoring or resurfacing your pool means less likelihood of injury to your family from rough surfaces, prevention of further damage and an improved appearance.